Scotch Ales seem to have a reputation that precedes them. It’s rare you find a bad brew of the style, though there’s no guarantee that an assumedly traditional brew from a traditional brewery is going to be great. That’s how I thought of Great Divide Claymore Scotch Ale; which is a fine beer all around, though not a shining example of the style. I was hoping for greatness but settled for goodness. I poured a 12oz bottle into a flared snifter. It was bottled on 8/24/15 and cost $2.95 ($0.25 per ounce). Appearance: Seemingly opaque black, though actually an extremely dark violet/ruby shade. Pours to a tiny, beige, soapy head which evaporates quickly and completely. Smell: Similar to a porter with dark malts and some roastiness. Rather mild considering how strong the beer is. 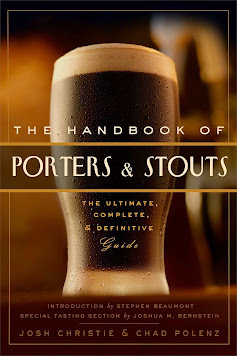 Taste: I’ve always associated Scotch Ales with complexity, though the last few I have reviewed have been rather simple. This beer is no exception. While the palette is sweet and tasty, it only has a few flavors going for it. Plenty of caramel or butterscotch notes up front with a touch of milk chocolate in the middle and dark fruit on the finish. Only mild bitterness to be found, though alcohol is fairly prominent as well. No smoky sensation, though that’s actually typical for the style. This beer is mostly just sweetness and not much else; which is fine by me because I have a sweet tooth. Drinkers that don’t may find it cloying. Drinkability: At 7.7% ABV, Great Divide Claymore Scotch Ale is a big beer no doubt. Though it drinks like something much lighter. The mouthfeel is a bit flat and not quite as viscous as I’d prefer. On the other hand it is extremely smooth going down and very comfortable with a remarkably clean aftertaste. Alcohol imparts mild warmth, but it complements the palette. A good liquid dessert.